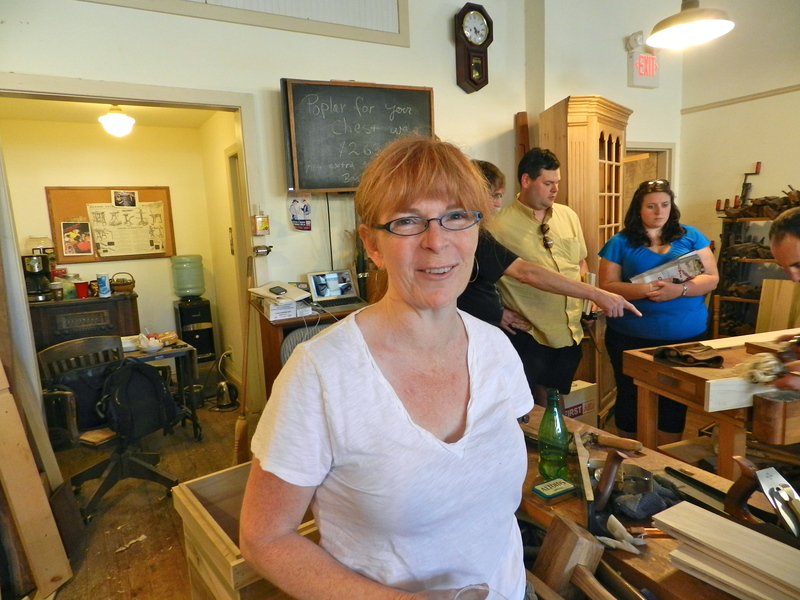 For Labor Day weekend this year I flew down to the Woodwright’s School in Pittsboro, North Carolina to take a 3 day class on making a Jointer Plane with Willard ‘Bill’ Anderson (more on that in an upcoming post). My flight got in early on Friday and I had the chance to hang out with some friends at the school during the last day of a class on building the Anarchist’s Tool Chest with Chris Schwarz. 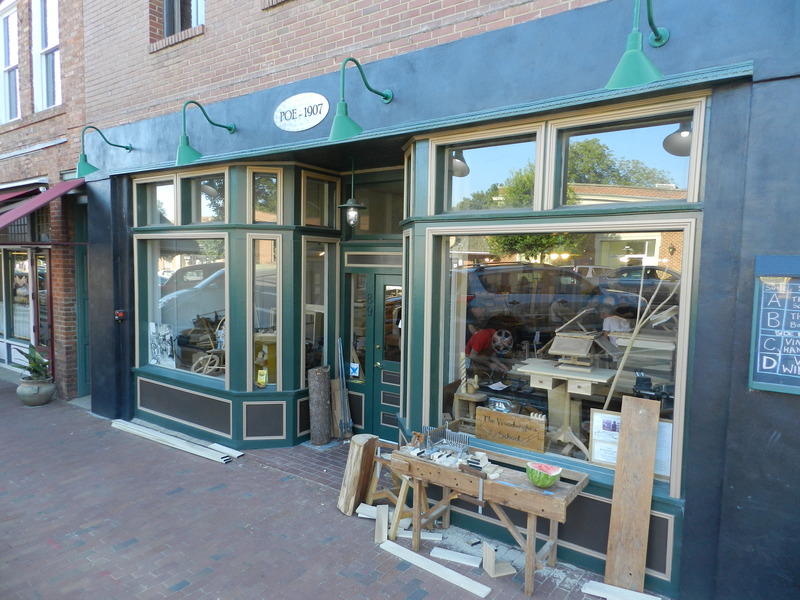 The Woodwright’s School is located in downtown Pittsboro which is a scenic town about 20 minutes from Chapel Hill. 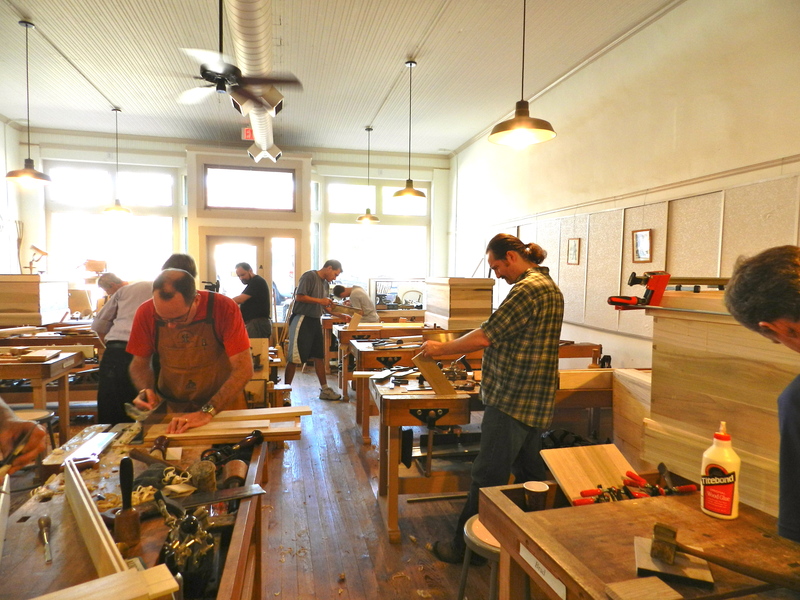 Don’t let the sometimes quiet streets fool you, once inside the school you are in a lively space full of folks who as passionate about woodworking as you are. 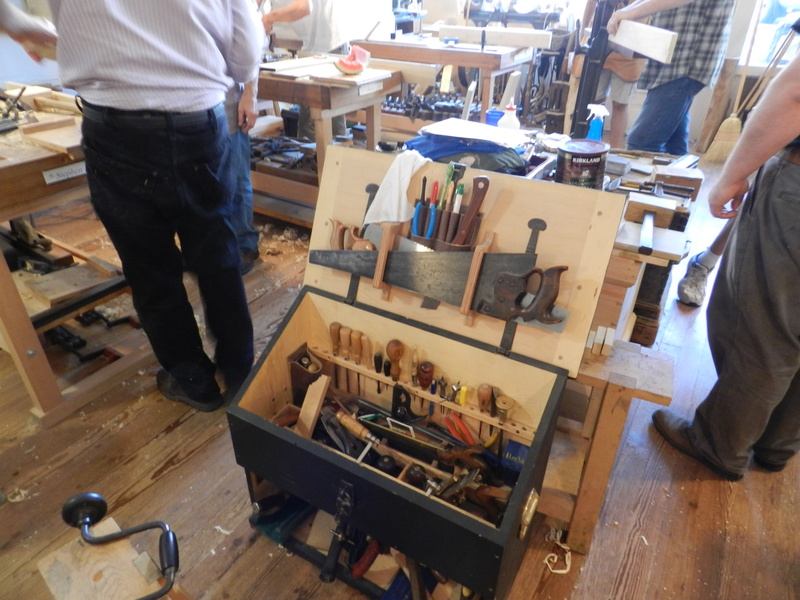 Roy was on hand to help students as they worked their way through the last day of week long class on building a traditional English tool chest based on Chris’ book ‘The Anarchist’s Toolchest’. If you ever read Roy’s book on public speaking you’ll get why Khruschev’s shoe is an interesting trophy. Beyond the witty stories and advice on how to keep a crowd engaged and entertained, the last chapter on the morning after a presentation was the one that resonated the most with me. Applying the advice therein has improved several lectures I have to make each year. 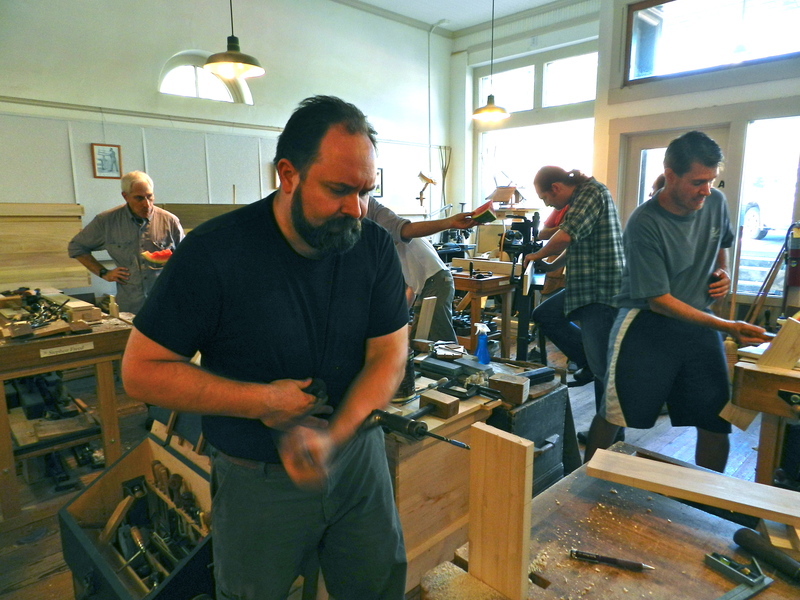 Traditional woodworking can feel like a very small world at times — the gentleman in the photo above was also in the class I took earlier this summer on making a Name Stamp with Peter Ross at Roy’s school — even though I was 700+ miles from home I happy to see that I could still run into people I knew. Loitering in the back of the classroom is a corner cupboard you may recognize from Roy’s show. 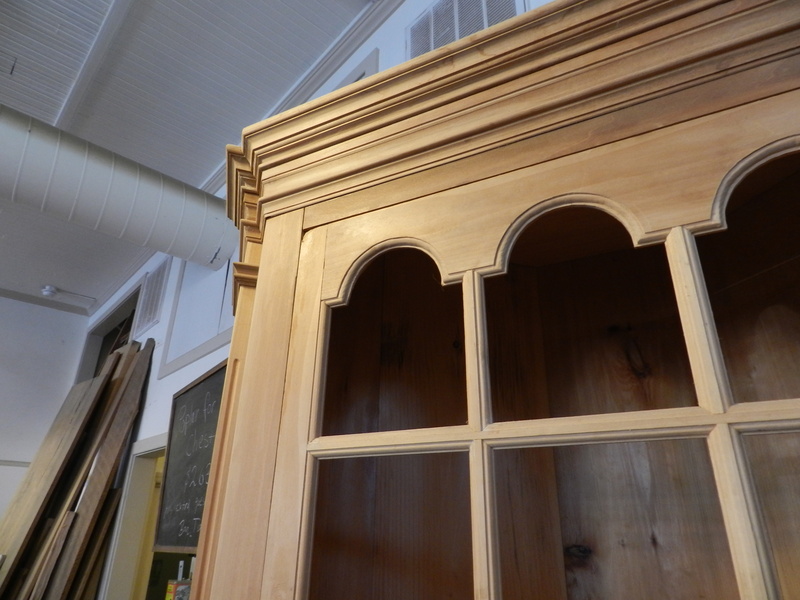 I heard his wife has been waiting on it for a while — which made me feel a tiny bit better about the dresser I owe my wife Alyssa — which reminds me I need to get working on that again…. It was also great to spend some time hanging out with my friends Chris Schwarz and Megan Fitzpatrick including a stroll through Ed’s tool shop above the school. 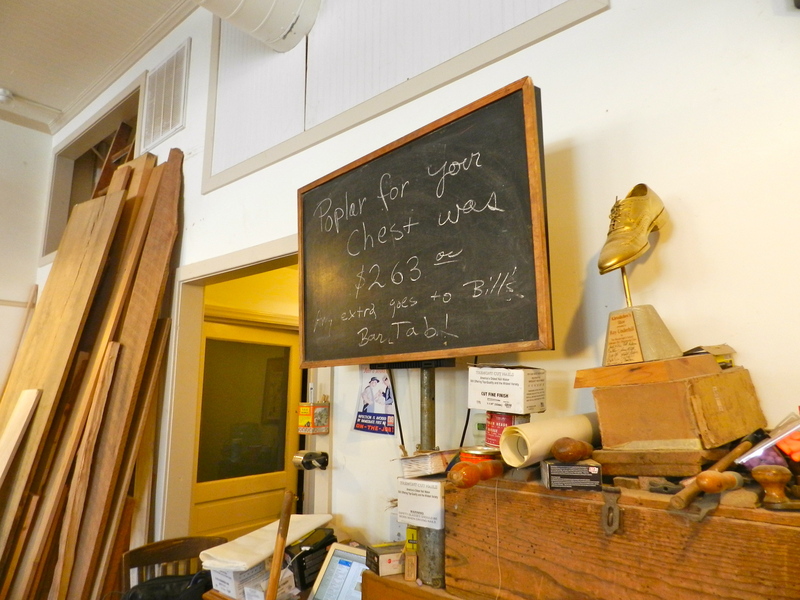 No toolchest is ever completely filled and Ed’s shop has a huge collection of traditional tools on par with some of the best regional tool shows. I tried my best to be good and save my pennies for the Nashua tool show later this month, but I did find some new toys. I had fun chatting with everyone, examining some interesting tools and helping to sweep up before a trip to the City Tap — which is a awesome bar just behind the school with great food and drinks. 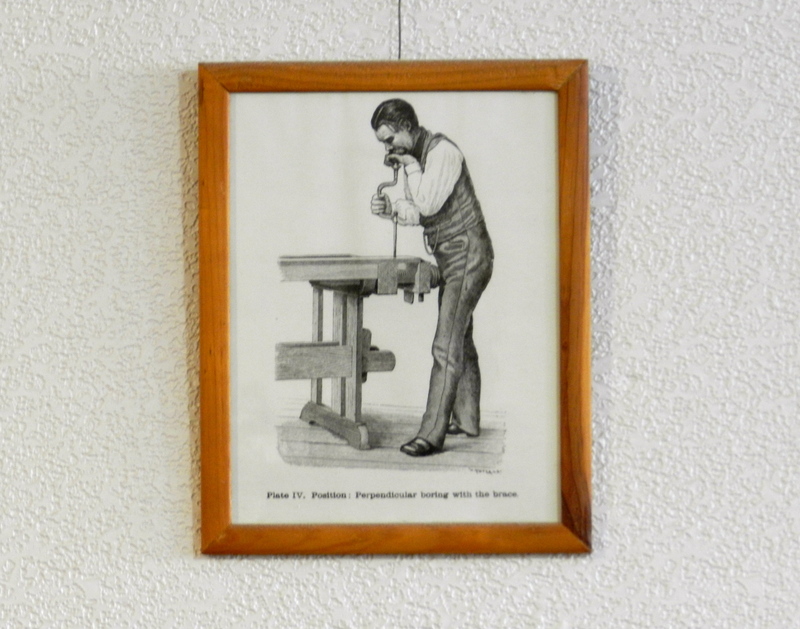 On my way out of the school I saw my old friend Otto Salomon and various other proper woodworking models from the Teacher’s Handbook of Sloyd. 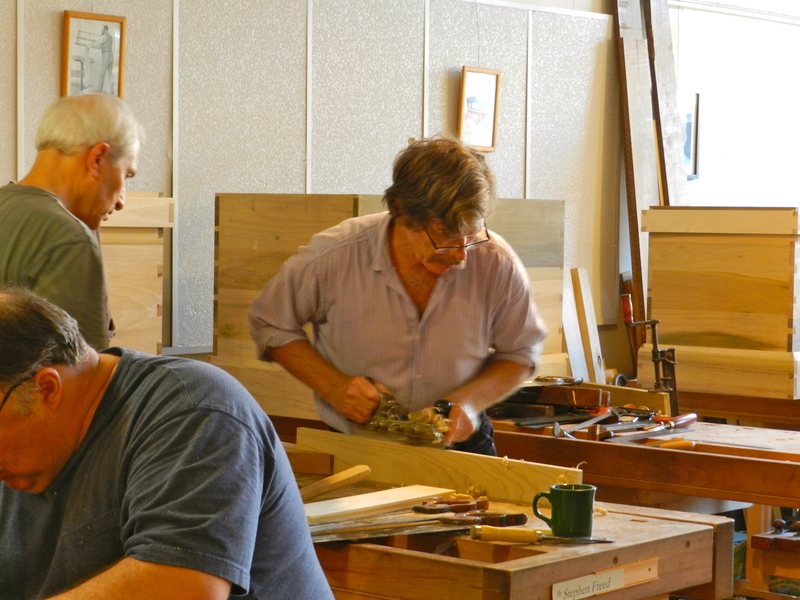 It seems the Woodwright’s School is full of new and old friends that are literally popping out of the woodworking. 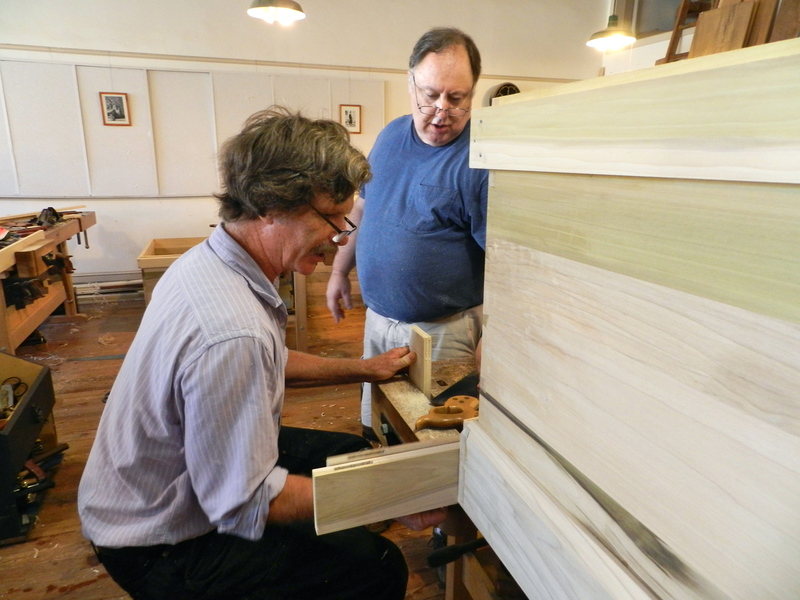 If you’d like to learn more about the school, make some new friends, meet up with old friends, or sign up for a class you can check out the school’s website here.